People are flocking to Portland, Seattle, and the many more affordable markets in the South. In summary, despite what we hear about the urbanization of America, more Americans are heading for the newer, more affordable housing markets than the expensive, mature urban centers. 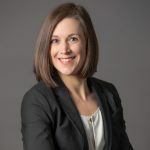 Annie Radecki recently joined us after 10 years of market research, most recently as a regional head of Strategic Market Intelligence at Pulte Homes. She helps lead many of our consulting assignments and heads many of our innovation efforts for our research subscription reports. Annie can be reached at aradecki@realestateconsulting.com. Disclaimer: We obtained pricing data from uhaul.com searches on December 20, 2015, for moves on January 9, 2016. U-Haul did not participate in our analysis. 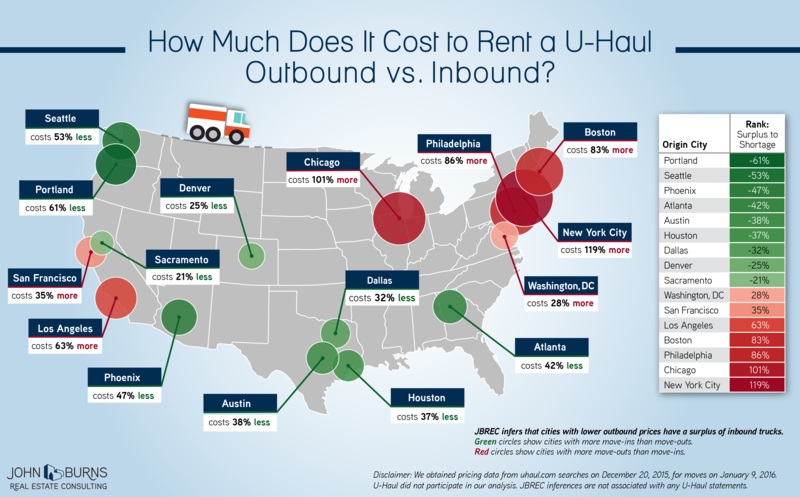 JBREC inferences are not associated with any U-Haul statements. If you have any questions, please contact Annie Radecki at (281) 605-8185 or by email.